We have concluded an exclusive dealership for U.N. funded projects with Europower Generators for the full range of generating sets from 1 upto 200 kVA. As early as the start of the new millennium, Santpoort Project Supplies has acted as the official and exclusive distributor of Europower Generators to the United Nations, Non-Government Organizations and Relief Agencies throughout the world. During this period, we were successful in securing two consecutive long term agreements (LTA) with the World Food Programme for the supply and delivery of an extensive range of petrol and diesel generating sets. 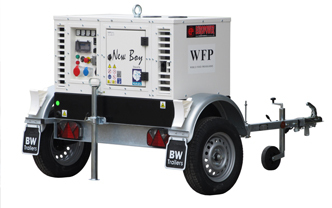 For over a decade, we have supplied hundreds of petrol and diesel generating sets to WFP country offices for use in critical applications where quality, reliability and durability are the decisive factors. Our close co-operation with Europower Generators bvba is on-going and we continue to design, manufacture and market high quality generating sets that are tailored to the requirements of our broad client base, ranging from UN agencies and NGO’s all the way to telecom, off-shore and construction companies operating throughout the world. Europower Generators is an ISO9001:2008 certified company and operates a production plant of 27,000m2 in Nieuwerkerken, Belgium producing an extensive range of petrol and diesel driven generating sets ranging from 1kVA up to 650kVA. 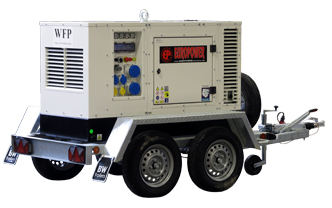 For a complete overview of the production range, we invite you to visit www.europowergenerators.com and for the 2015 pricelist, please click on “EP” button. For any enquiries, please contact us.